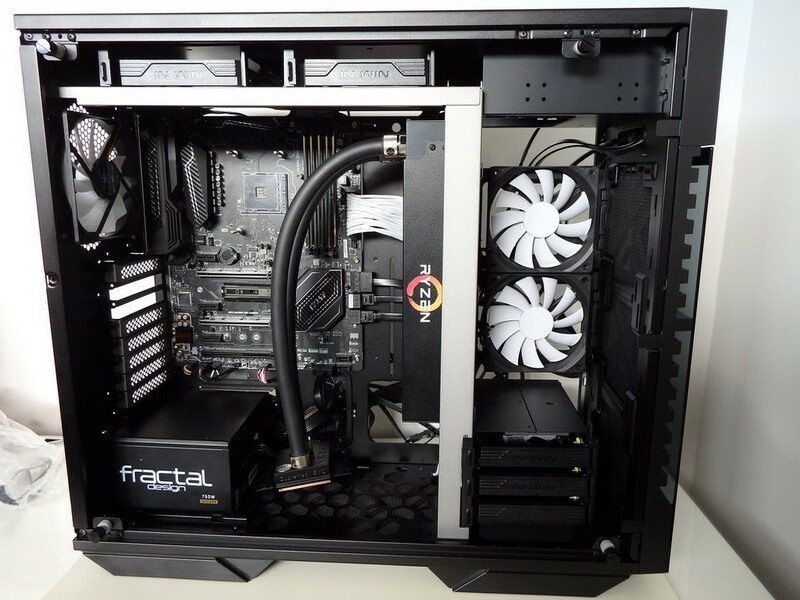 The In Win 509 is a big case but we all agreed that it was one of the best looking cases we’ve ever seen. 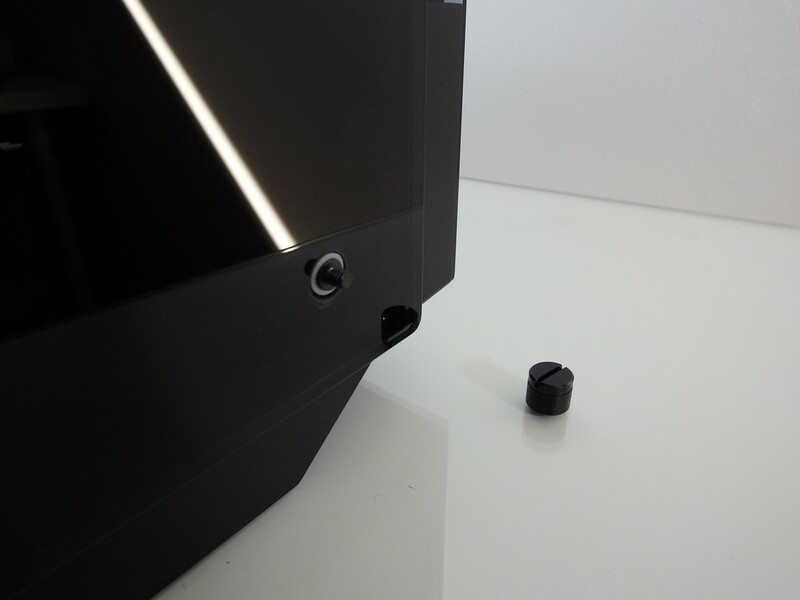 The finish of our review sample was flawless and the only complaint we had was that it is a real pain to photograph due to the dark glass side and front – it’s like photographing a mirror. 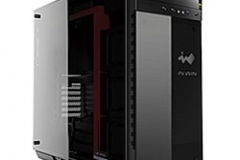 When the designers sat down to draw up the 509, they clearly had aesthetics in mind with nice flat surfaces on the top, front and sides, but thankfully they didn’t sacrifice functionality or versatility. 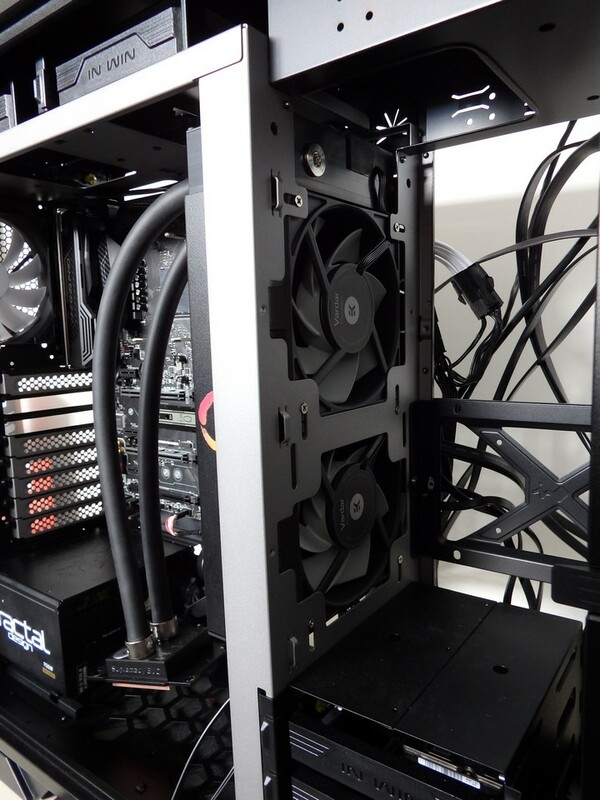 Building in the 509 was much easier than I had expected with a largely tool-less design – which is one of the key requirements of a test system that has components changed on a regular basis. 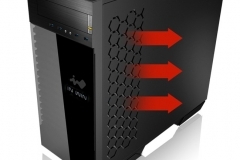 Let’s have a look at the key features in no particular order. 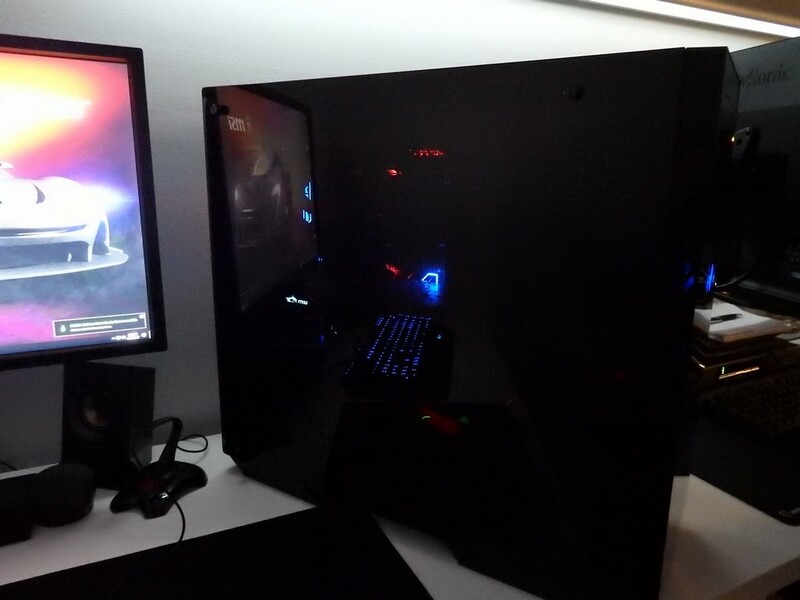 This is probably the first thing most people will notice. 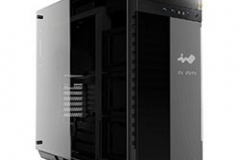 Tempered tinted glass is fitted to the front of the case, covering an intake grille that can draw air in from the edge of the panel through a stylish black moulded plastic panel that runs vertically down the front left half of the front panel. 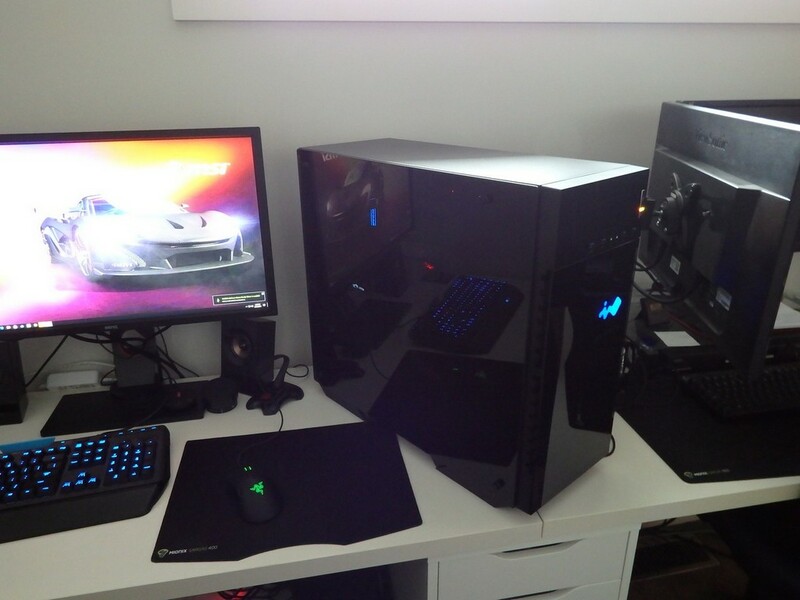 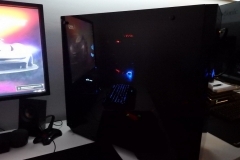 The right side has a clean flat look with the RGB lit In Win logo. 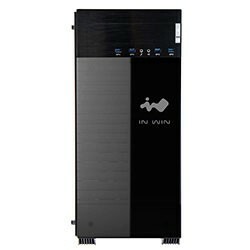 In Win has used the two different textures underneath the tinted glass for a slick and unique front-on appearance. 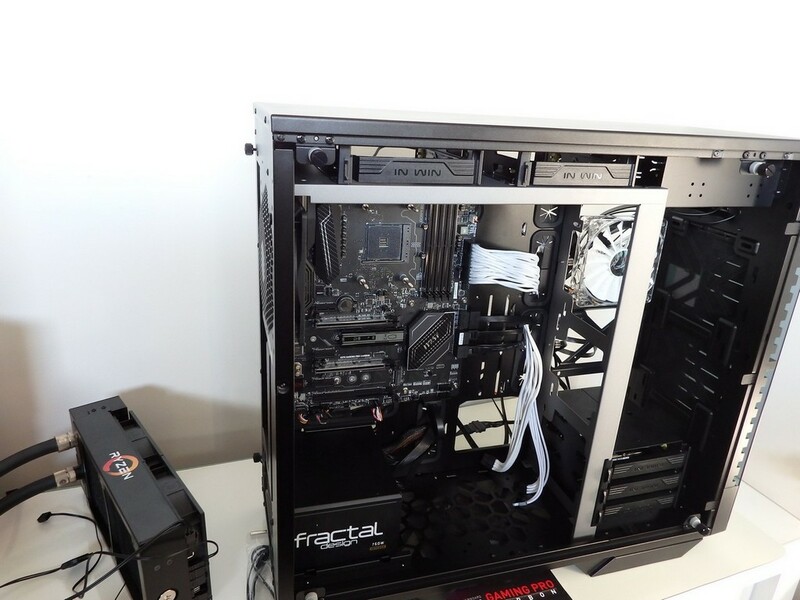 The tempered side panel is also tinted so whilst it is transparent, it does tend to hide the innards of your rig. 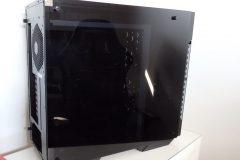 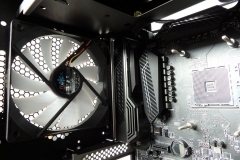 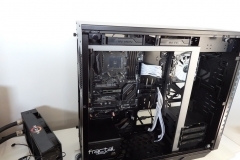 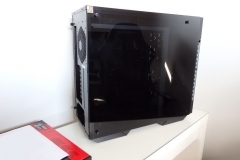 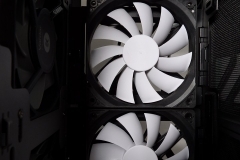 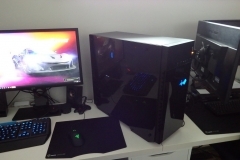 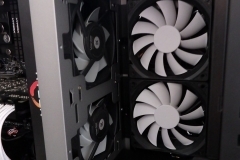 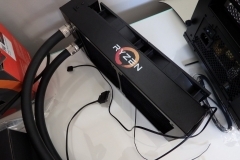 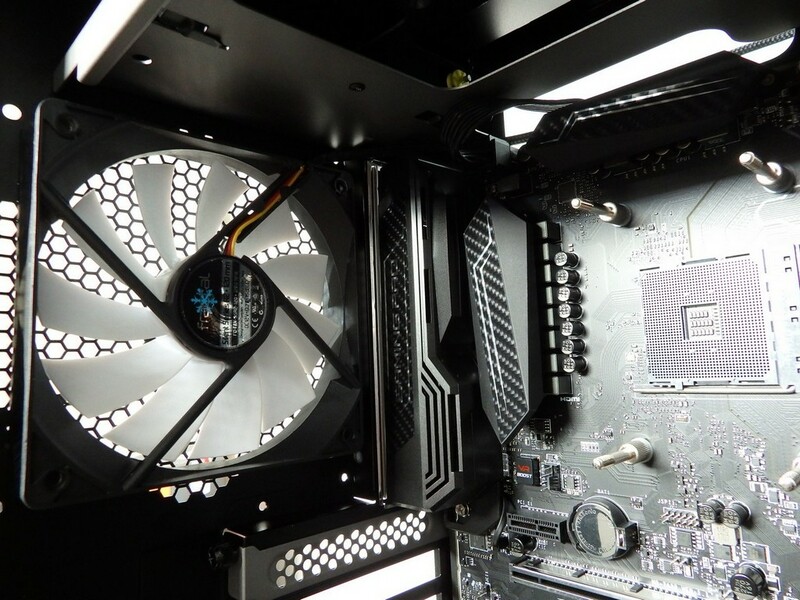 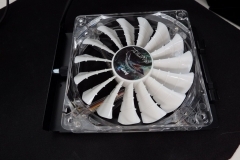 However it still allows ample light through from any LEDs that you might have on the graphics card, motherboard, CPU cooler or fitted elsewhere in the main chamber. 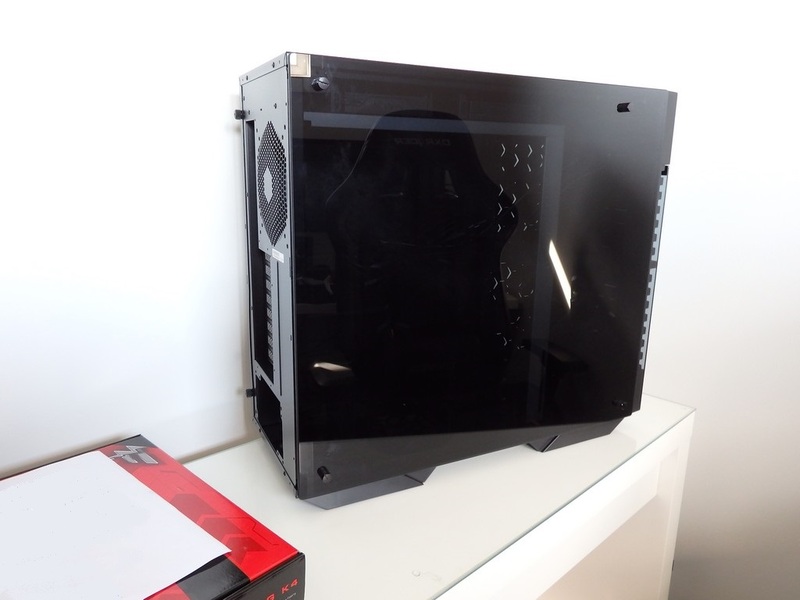 The whole side of the case is glass and whilst it is more reflective due to the tint, it pays to be neat when running cables. 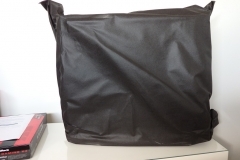 The result is aesthetically stunning and whilst fingerprints and smudges are difficult to avoid, they wipe off with minimal effort. 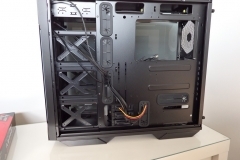 I really appreciated the rubber mounts and thumbscrews that hold the side panel on the case. 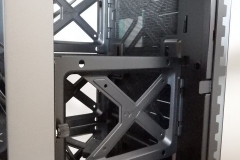 The orientation is important as the panel only goes on one way so when doing the assembly, take the glass panel off and store it safely in a way that you remember how it goes back on. 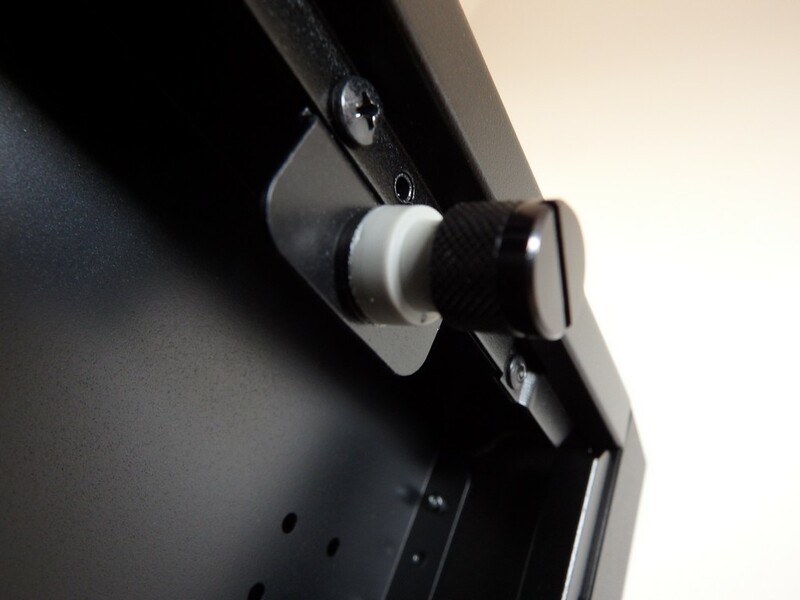 The more you handle the panel when re-fitting it after completing your build, the more fingerprints you’re likely to be wiping off at the end. 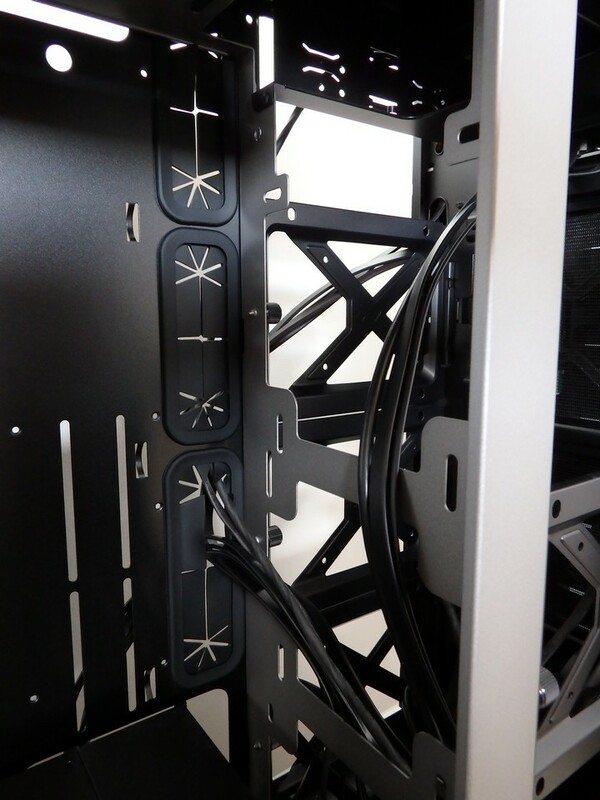 In Win designers fitted 4 multi-purpose brackets to the 509. 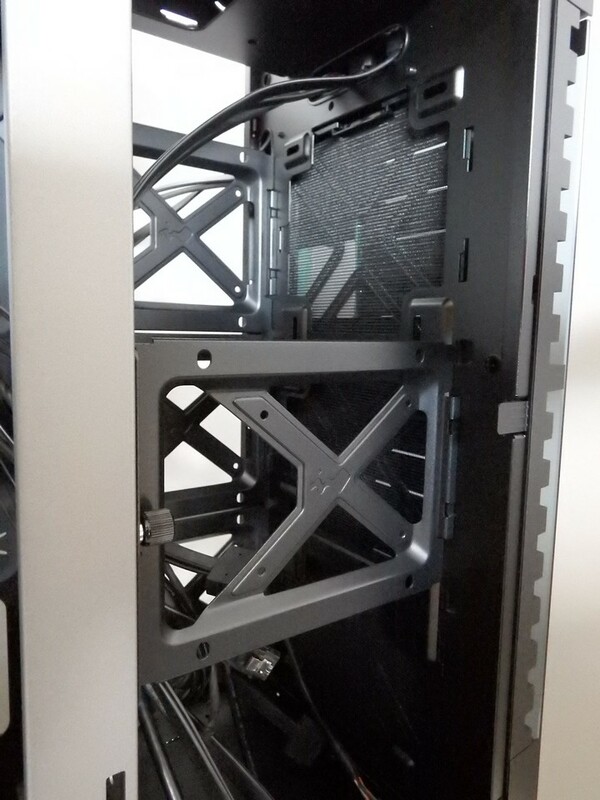 There are 6 slots for the brackets so the flexibility is there to re-arrange them. 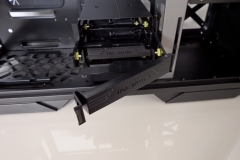 You can either fit a 2.5″ SSD or hard drive to these brackets or a 120mm case fan. 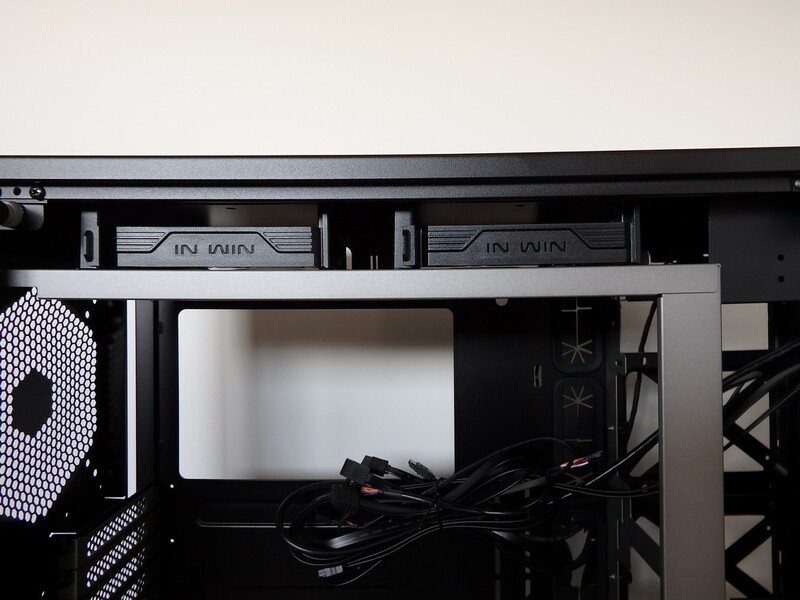 Our SSD was a Samsung Evo 840, so nothing special to look at, and we decided to stash it away in one of the 3.5/2.5″ drive bays instead. 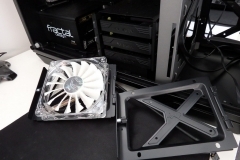 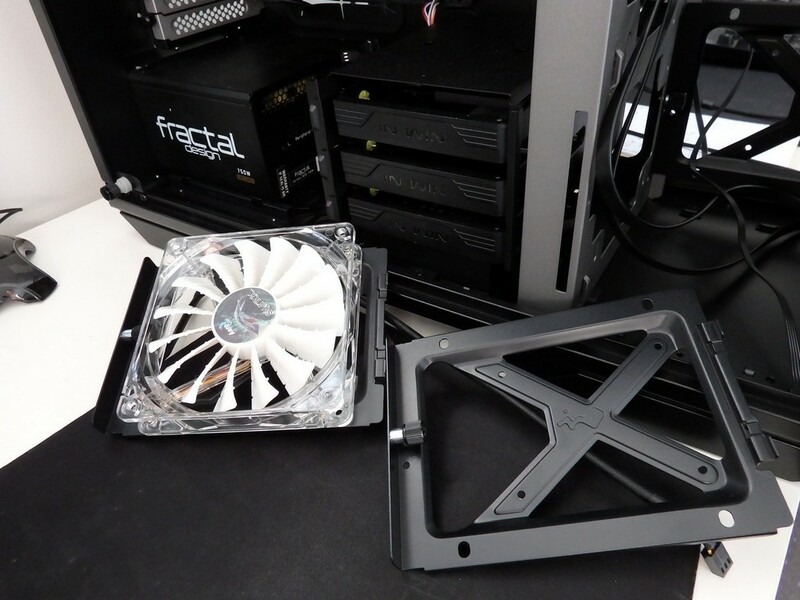 In our final build, we used only two of the four brackets with Fractal Design 120mm case fans as exhaust to take the air away from the EK Predator water cooler and force it out the side of the case. 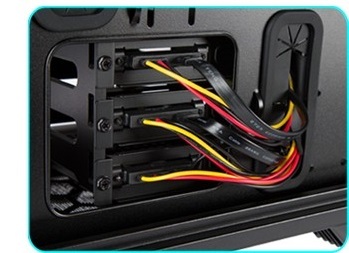 Whilst there are 5 internal 3.5″/2.5″ HDD bays for tool-less installation of hard drives, 3 of these bays are in the ‘EZ-Swap module’. 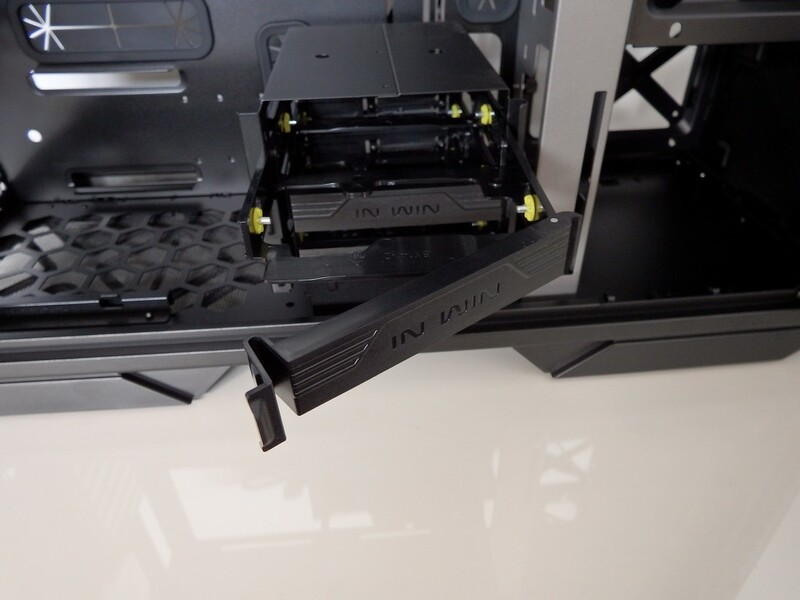 This feature is great and allows you to attach your hard drive or SSD to a tray and just slide it into place, latching the tray door for a solid connection. 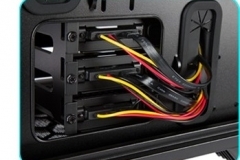 The EZ-Swap has a backplane on each of the 3 bays with attached SATA Power and data cables. 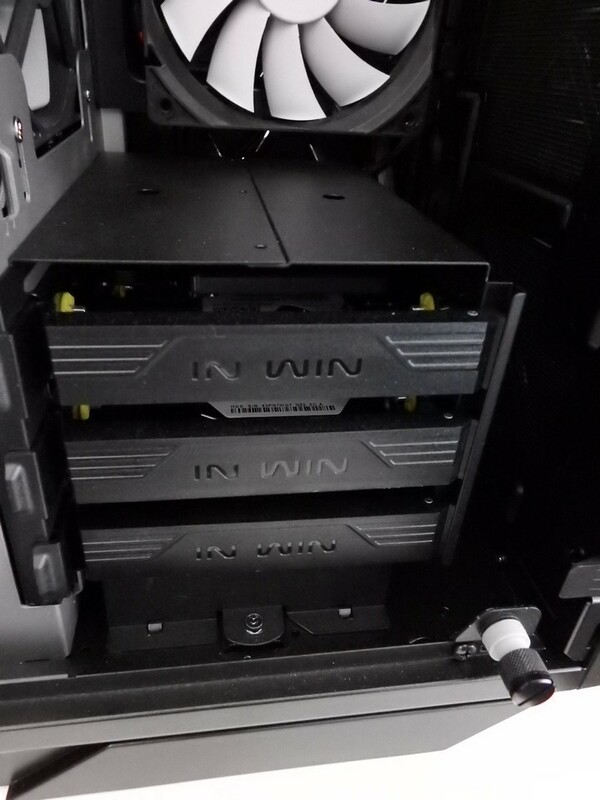 The top hard drive bays have the same tray design but lack the backplane. 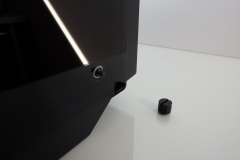 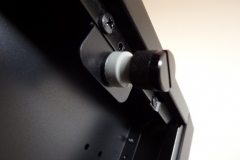 You can also remove a thumb screw to allow for complete removal of the EZ-Swap module or to relocate it to an alternate location in the base of the front section of the case. 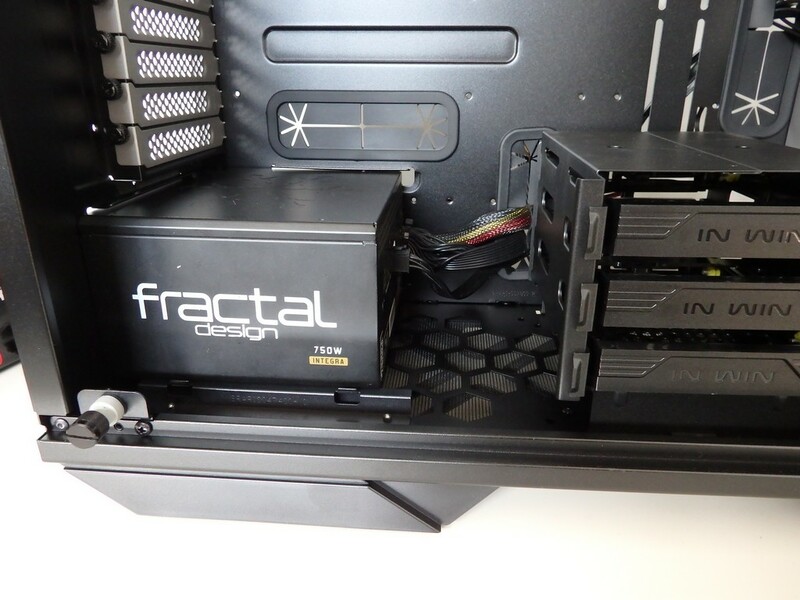 As we were using a radiator inside the case, the decision was made to move the EZ-Swap module to the front and it took less than 5 minutes to get the job done. 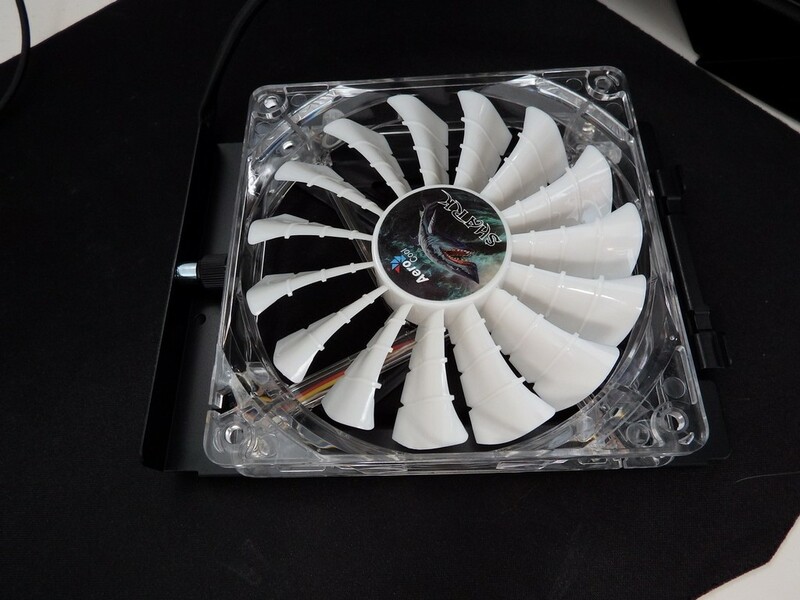 When you remove the EZ-Swap module from its default position, next to the power supply, you can also access the mount for a 120 or 140mm case fan in the base of the 509. 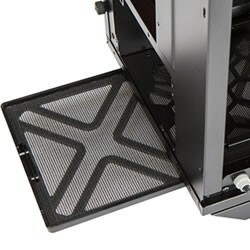 This is filtered so you can use it as an intake fan but keep in mind that regardless of the filter, more cleaning is likely to be required with a floor-mounted intake. 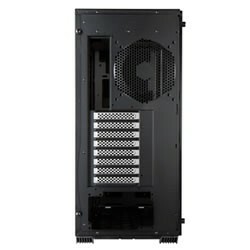 There is also plenty of room in the 509 for longer power supplies which makes perfect sense when you consider that this is an E-ATX case, designed for larger motherboards that can handle dual CPUs and systems that may have larger power requirements. 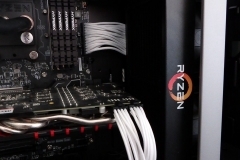 Our Ryzen branded EK Predator 240mm AIO water cooler is a favourite. 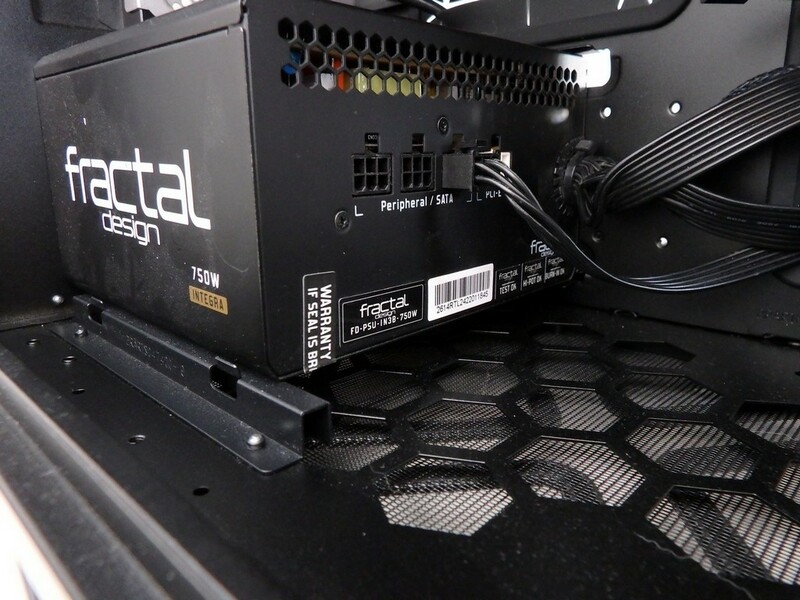 The thick hoses, effective cooling and tool-less mounting system mean that we can swap out AM4 CPUs with ease. 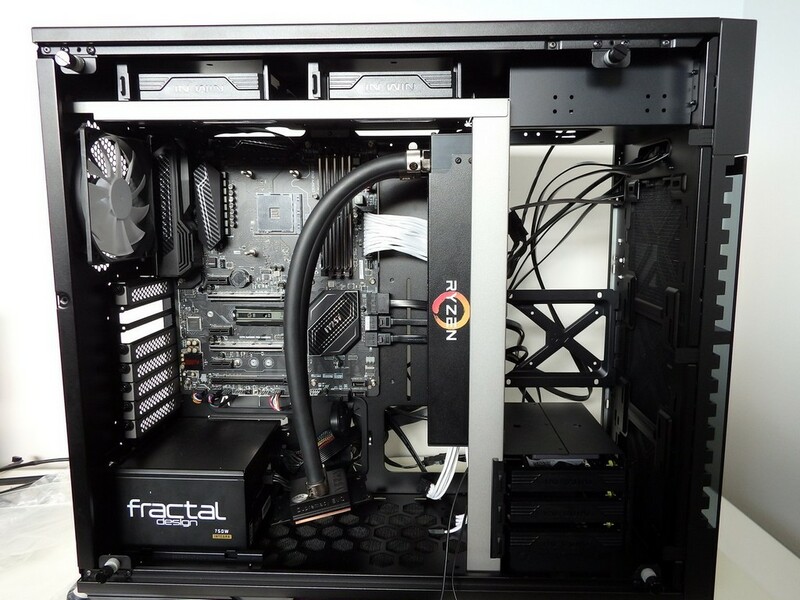 It was important to have a case that gave us room to work and also room for the water block to hang, but to hang out of the way of everything else. 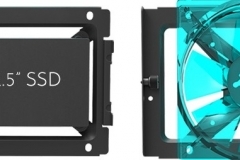 Water blocks are heavy and if you’re not careful, they can easily knock into the motherboard. 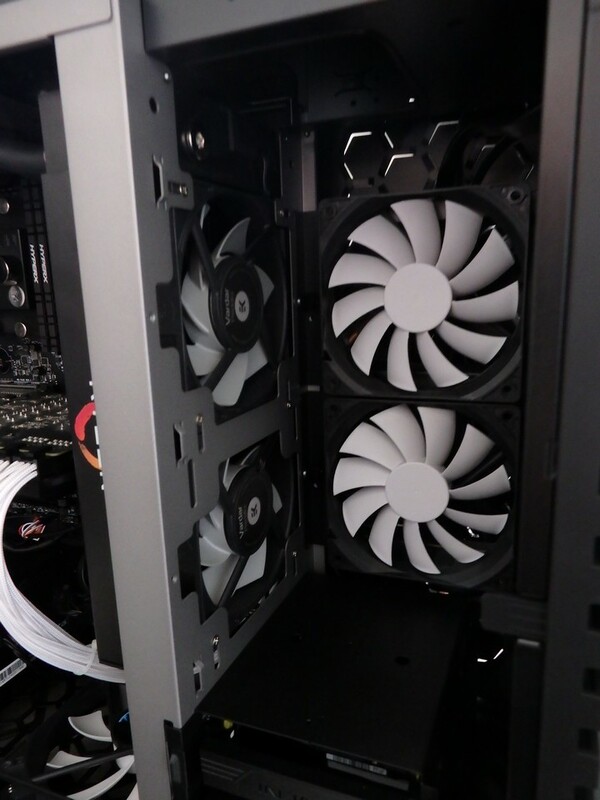 The generous internal space and vertical mounting of the radiator bracket meant that we could effectively mount the radiator out of the way where airflow was not an issue. 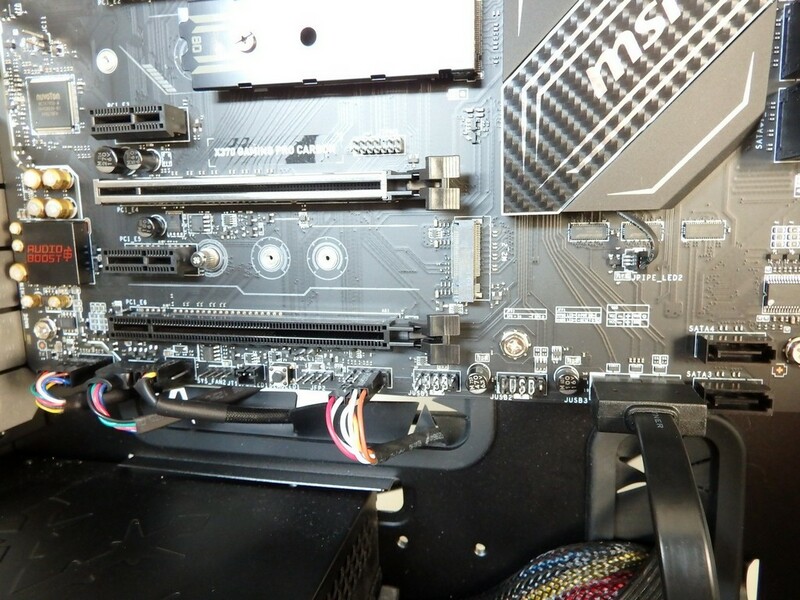 This allowed enough space to then rest the water block safely aside when changing out CPUs with a significantly reduced risk of the block touching the motherboard. 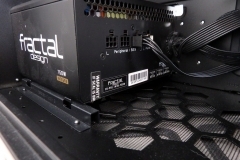 The vertical mount still allows for standard and longer sized graphics cards without fouling the radiator. 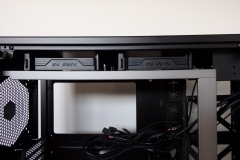 An added benefit that I also found when using the vertical radiator mount is that it is effective at hiding the motherboard cables and grommets. 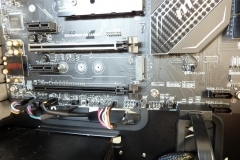 There are 2 internal USB 3 headers that drive the 4 USB 3 front ports; HD audio for headphones and mic are also present as is a power button and reset with a small orange LED for HDD activity if you choose to connect it. 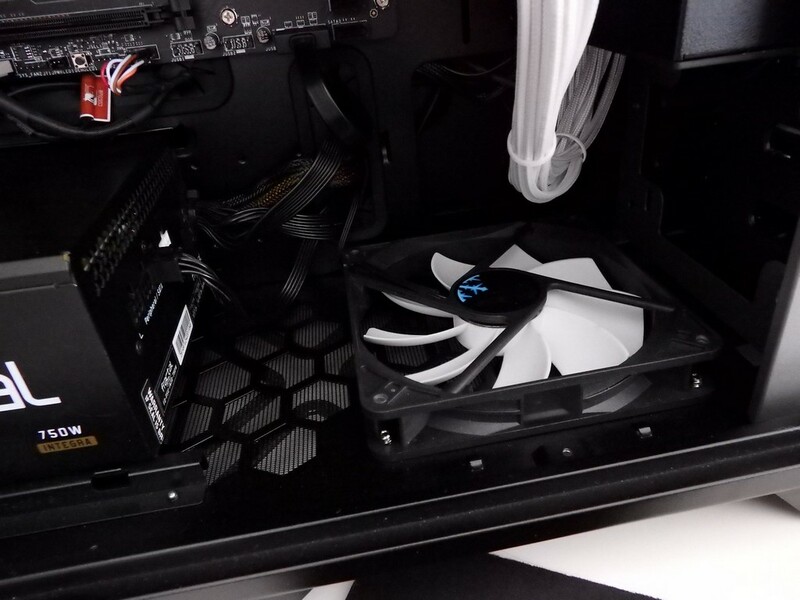 The RGB In Win logo is the star of the show when it comes to the front panel and it works off a 4-pin RGB header in the case for motherboards or controllers that support RGB peripherals. 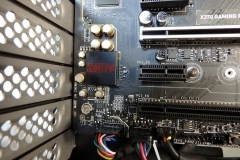 The alternative is to connect the front panel logo to power and have a red logo. 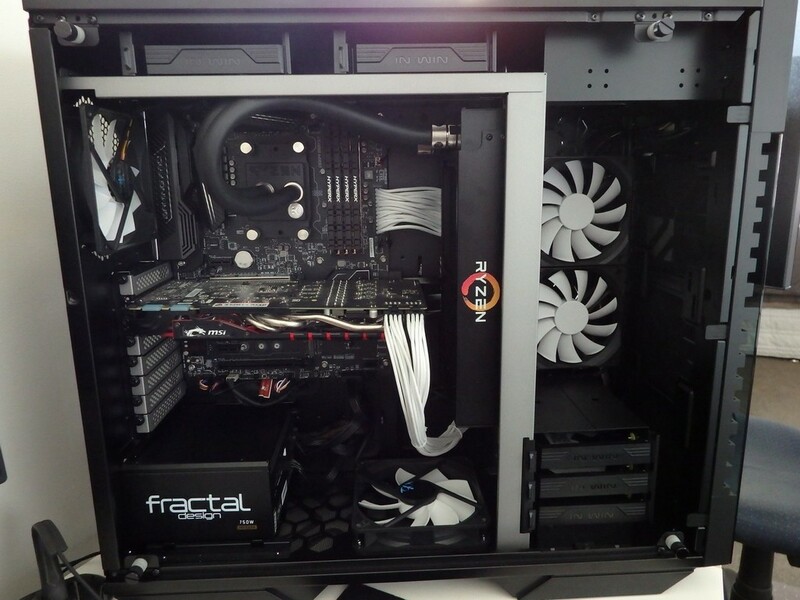 The colours generally looked very vibrant and effective but when set to the lighter colours like orange or pink, the white balance seemed to wash the desired colour out perhaps a little. 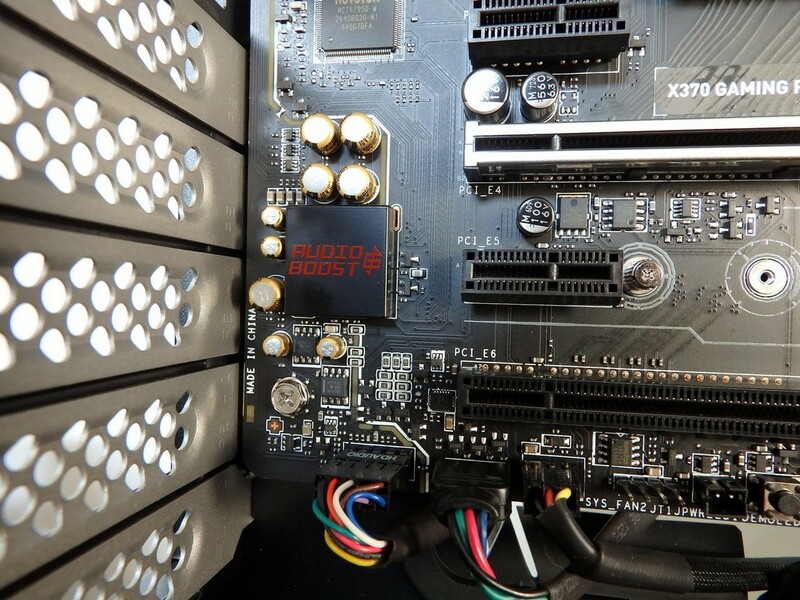 Overall the RGB logo was very effective and we didn’t have any issues when connecting the header to either our ASROCK AMD test board or the MSI X370 Gaming Pro Carbon motherboard that will be our go-forward AM4 test platform. 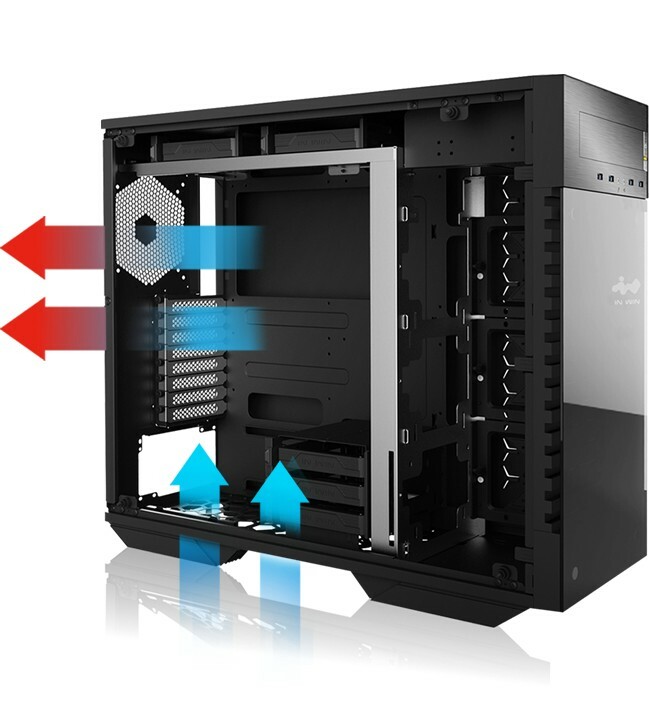 Like the 303, the airflow approach is less than conventional with the side exhaust. 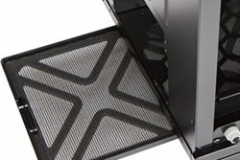 The 509 is more flexible in that it has a 3×120 or 2x140mm front intake. 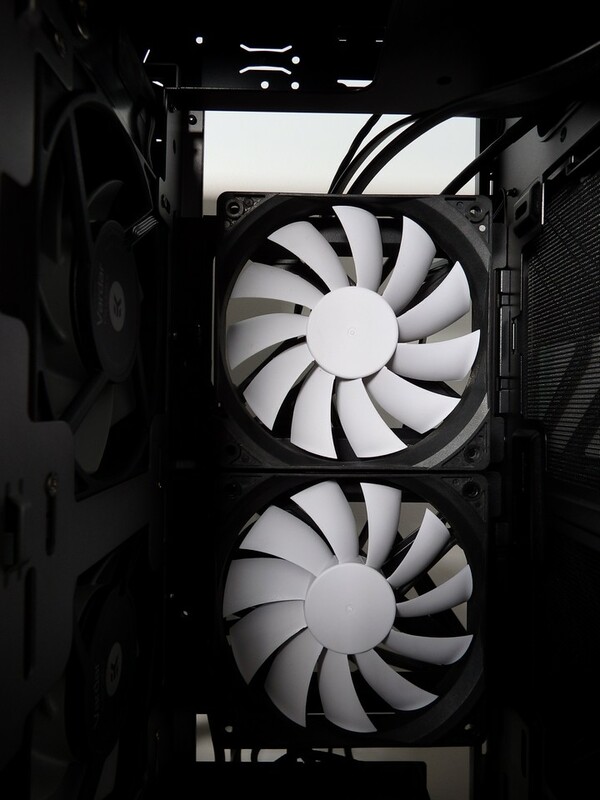 The EK water cooler is configured to pull air through the radiator and whilst I could have changed the orientation of the fans, it was designed to work in the pull configuration and it was going to be a major pain in the a– to undo the cable ties, change the fan orientation and then re-ziptie the cables again. 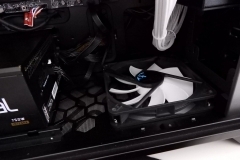 This meant that I ended up having the rear fan as an intake, the radiator set to pull the air to the front of the case and the side fans configured to exhaust it. 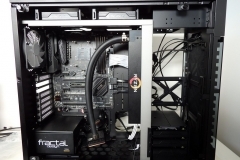 In the end, this configuration was effective despite being basically the opposite of what we would normally do. 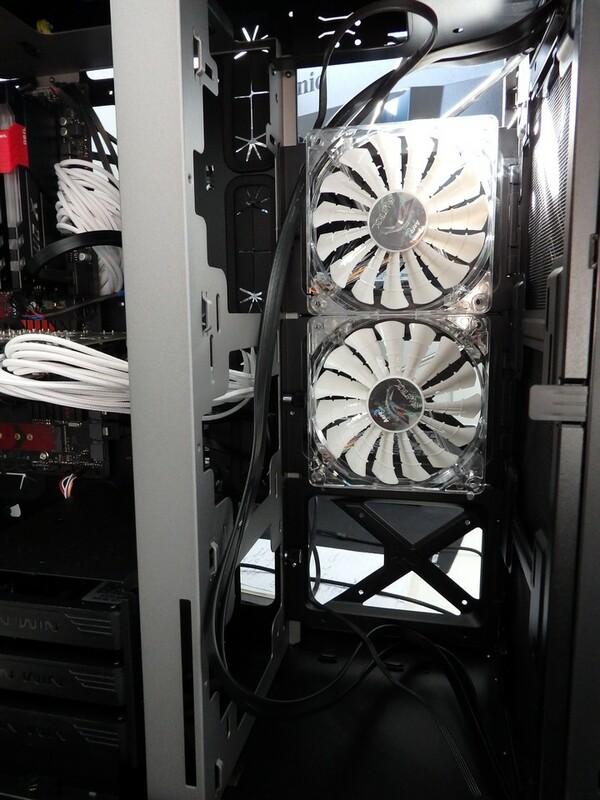 This configuration is also less than ideal in terms of dust but as a test rig, we end up wiping it out more often than a typical system anyway. 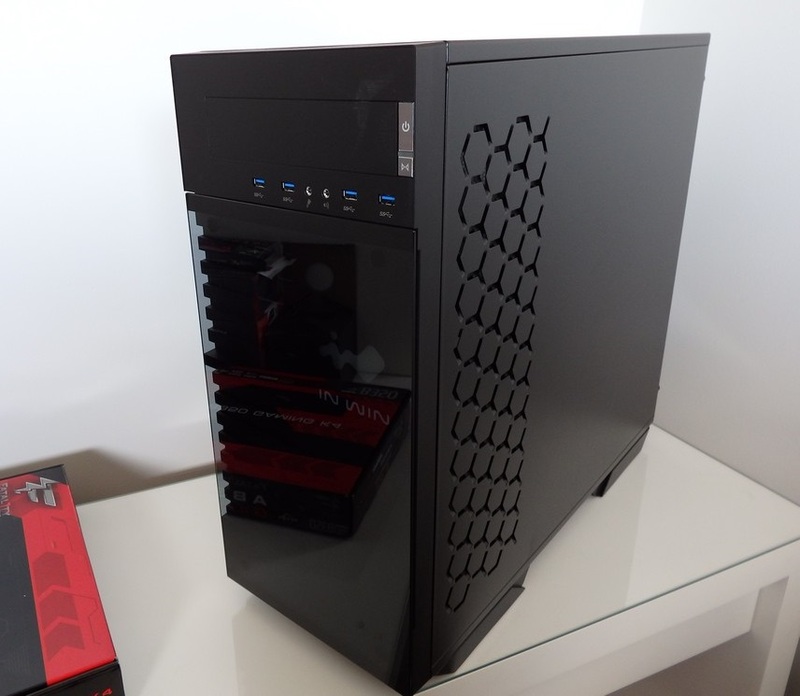 Our review sample was the Black/Grey model but the 509 is available in Black/Red. 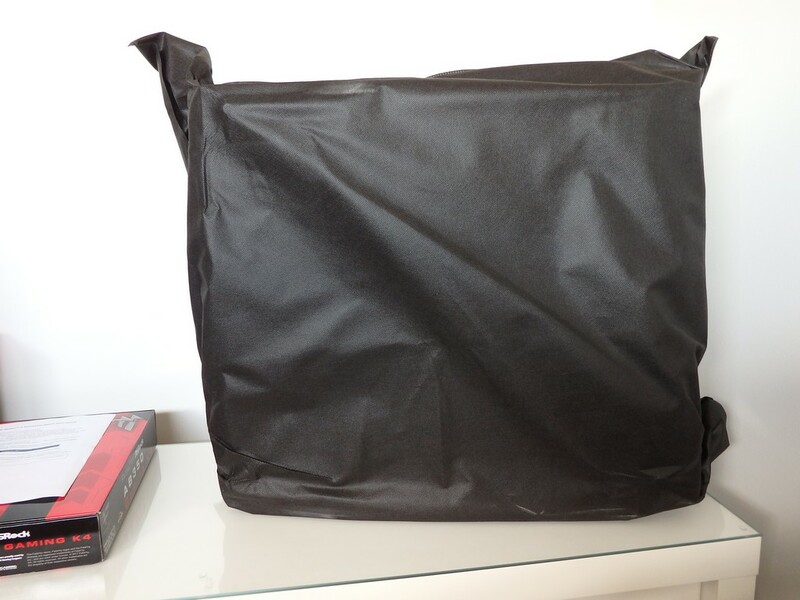 The packaging was first class with strong foam and a nice cloth bag keeping the case in mint condition from the warehouse to the lab. 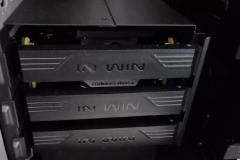 Unboxing the In Win 509 was a premium experience. 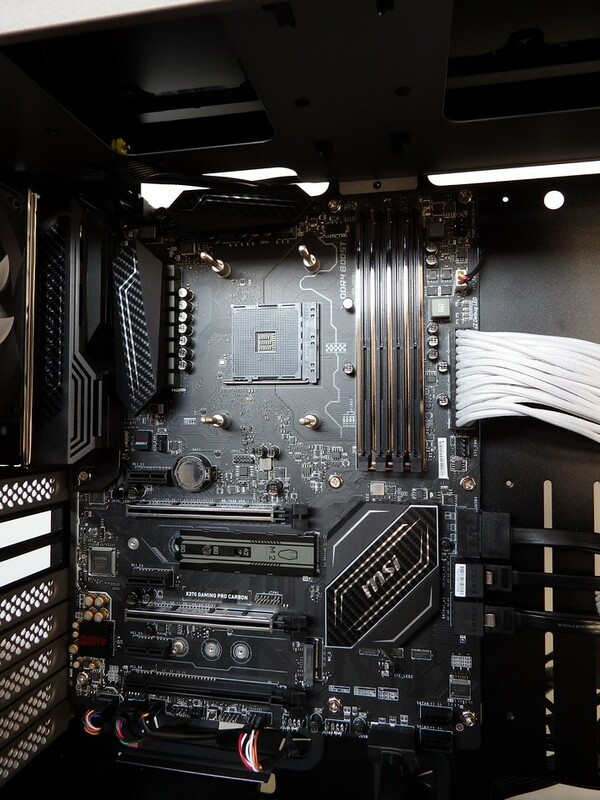 The practical build was effectively done twice – once with the Ryzen 5 test components and then stripped/rebuilt with the MSI X370 Gaming Pro Carbon motherboard as the main AM4 test platform. 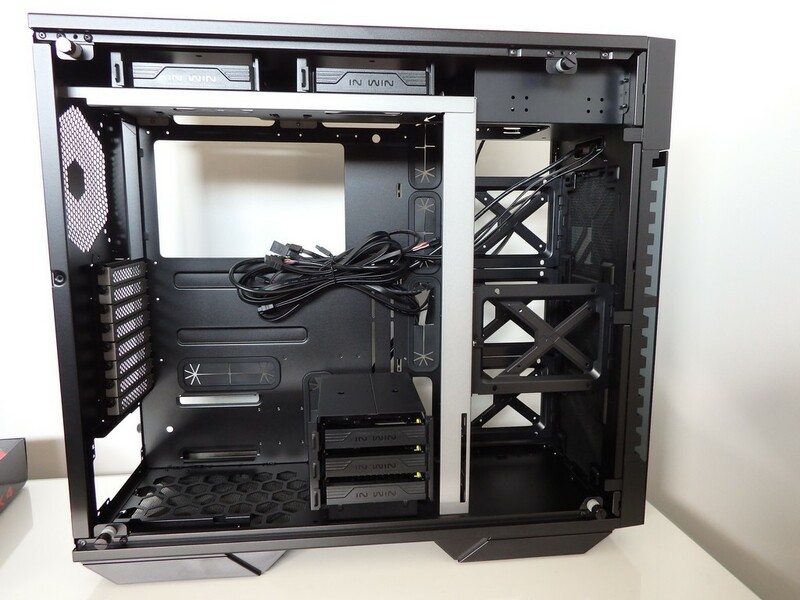 The ample space to work was much appreciated and although it takes up more space on the bench than other cases, it’s an E-ATX case that doesn’t pretend to be anything else. 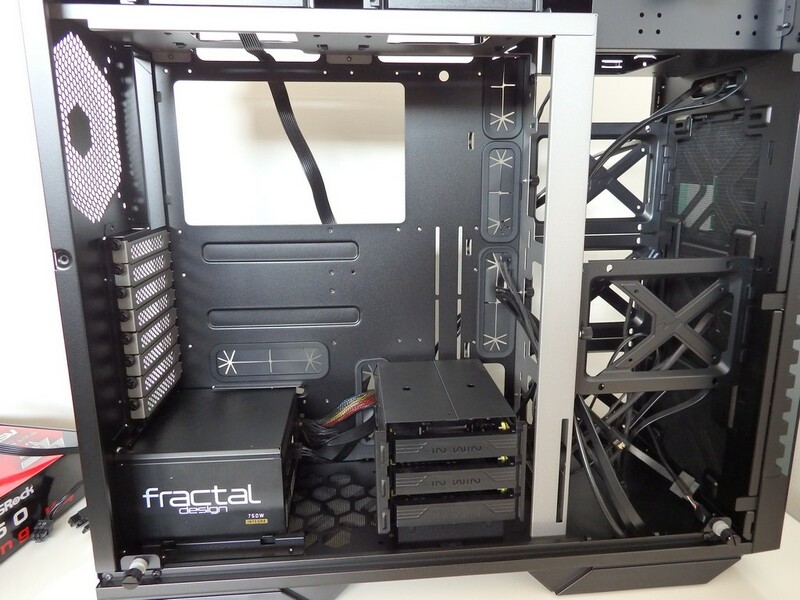 Most people won’t ‘need’ an E-ATX chassis but the extra space and room for unobstructed airflow does make for a tidy rig. 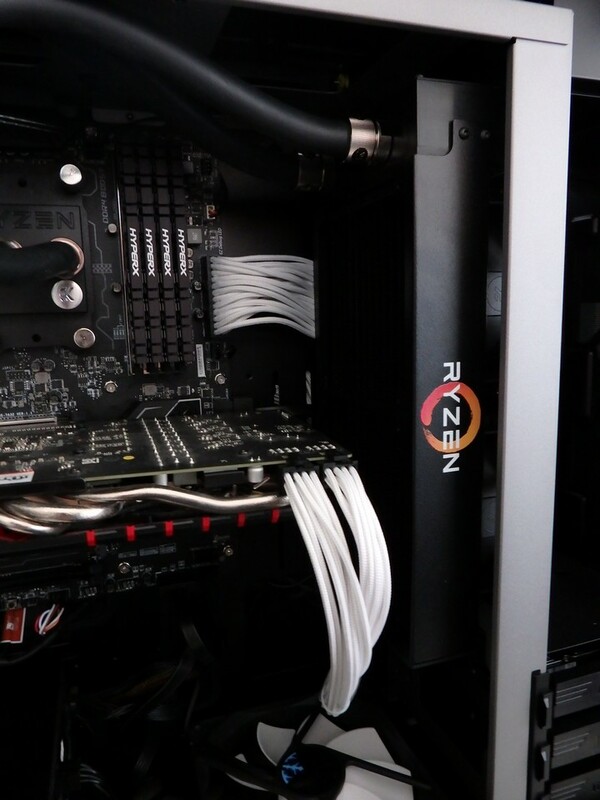 For this reason, we don’t consider the size of the 509 as a negative. 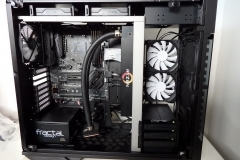 Having built two systems in the 509 with a stock cooler and then a water cooler and different motherboard later on, I can say without any hesitation that it is an upgrader’s dream. 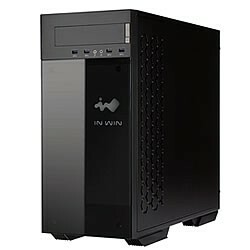 As with the In Win 303, I had to double check the pricing. 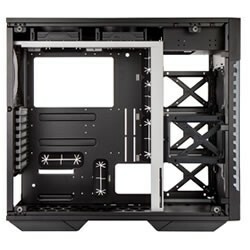 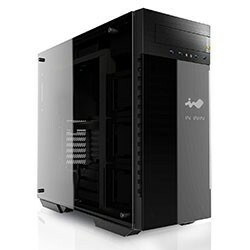 $189 isn’t cheap but this is an E-ATX case, with 2 panels of tempered glass, an RGB LED, fantastic build quality, mostly tool-less design and dual front USB 3 headers. 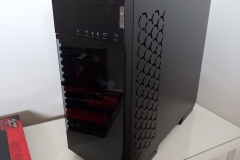 The price is very competitive and was lower than I’d expected to see. 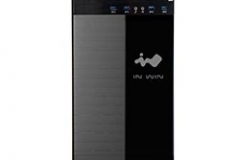 Consumers get a fair bit for their dollar here, hence the Value Award. 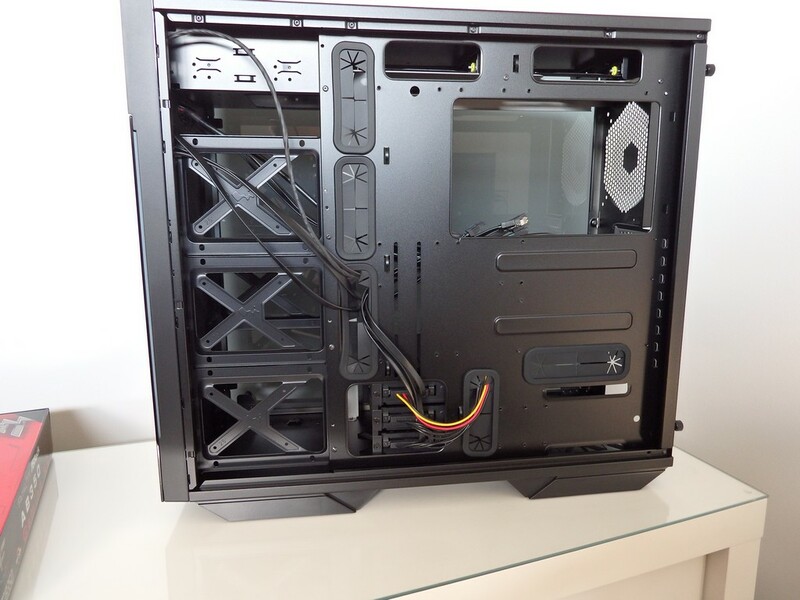 This is an attractive, functional case that is very easy to work with. 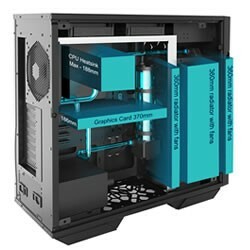 The versatile design and RGB logo gives a system builder options with space to be creative without the need to modify the actual case. 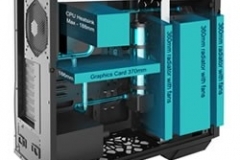 Having said that, the 509 does make a good candidate for a modding project due to the design and price. 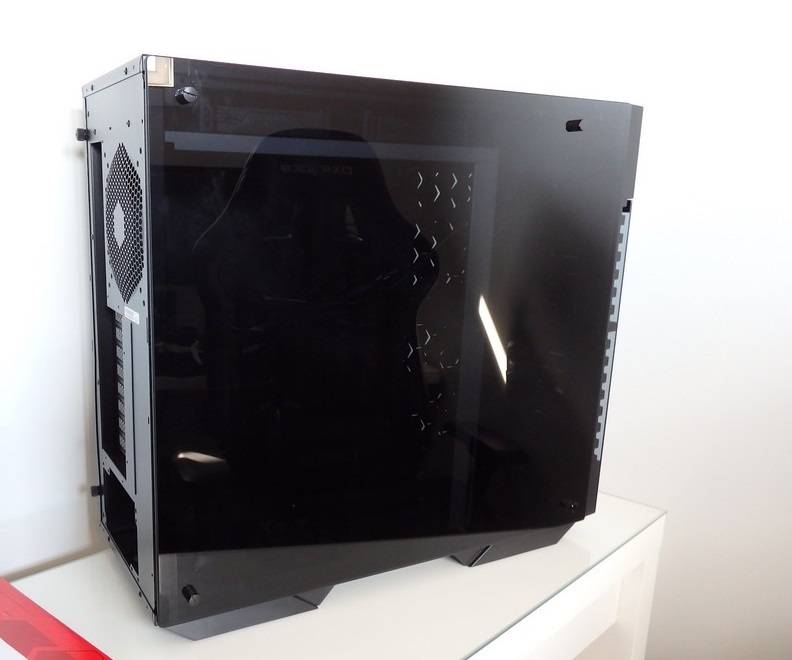 The tempered tinted glass finish is very effective at almost completely hiding the internal components from view but allowing the system LEDs to show through. 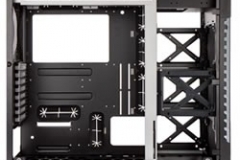 Our MSI X370 Gaming Pro Carbon motherboard has LED-lit sections that were visible through the panel but in a subtle, less distracting way than what would be achieved with a perfectly clear panel. 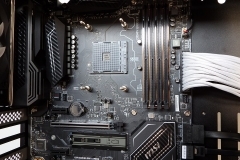 The lack of USB 2 ports on the front panel may be an issue for some people but our test motherboard has dual internal headers for USB 3 and when you look at the new boards hitting the market, this is a growing trend so the decision of In Win to fit four USB 3 ports to the front panel is a wise one. 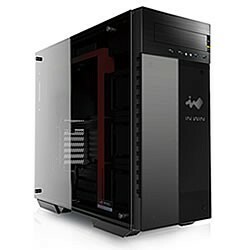 Initially I was in two minds regarding the front 5.25″ drive bay. 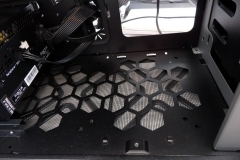 Was this a design mistake? 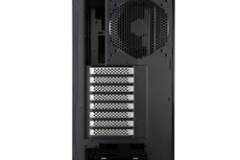 In the end, after some discussion, we decided that the inclusion of a 5.25″ drive bay made sense on a case this size. 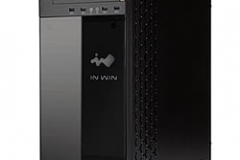 A large factor was the way that In Win incorporated the bay with a slick brushed finish on the cover plate. 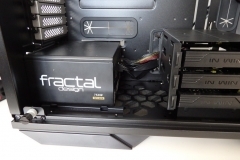 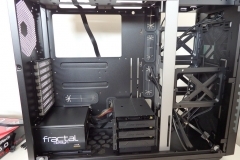 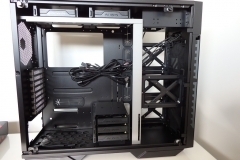 At the end of the day, this case will appeal to modders and enthusiasts so having the option to fit an optical drive, media/card reader, fan controller or bay reservoir was the right call by the resign team. 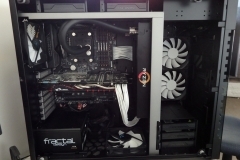 Is there room for improvement? 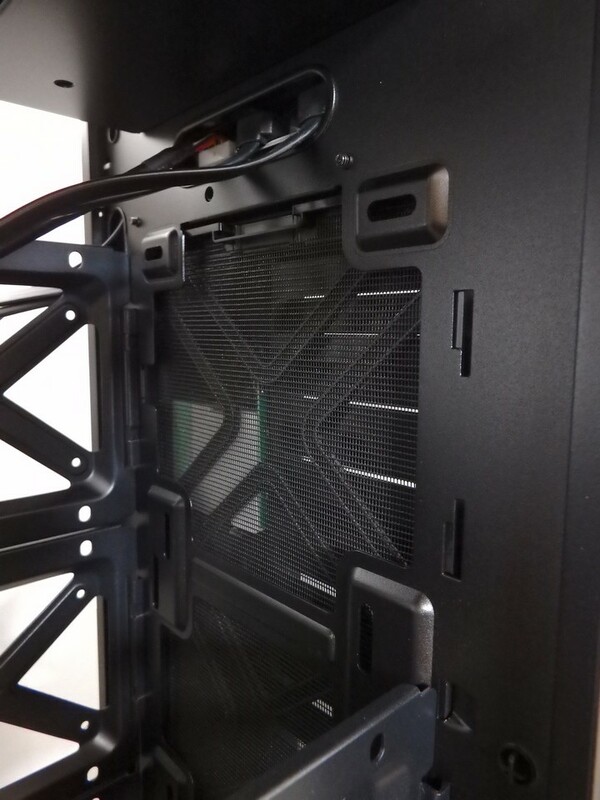 Perhaps one thing, though it isn’t a big deal: for a large case, there isn’t a lot of room behind the motherboard tray and I’d have like to see another 5-10mm of depth in this part of the case. 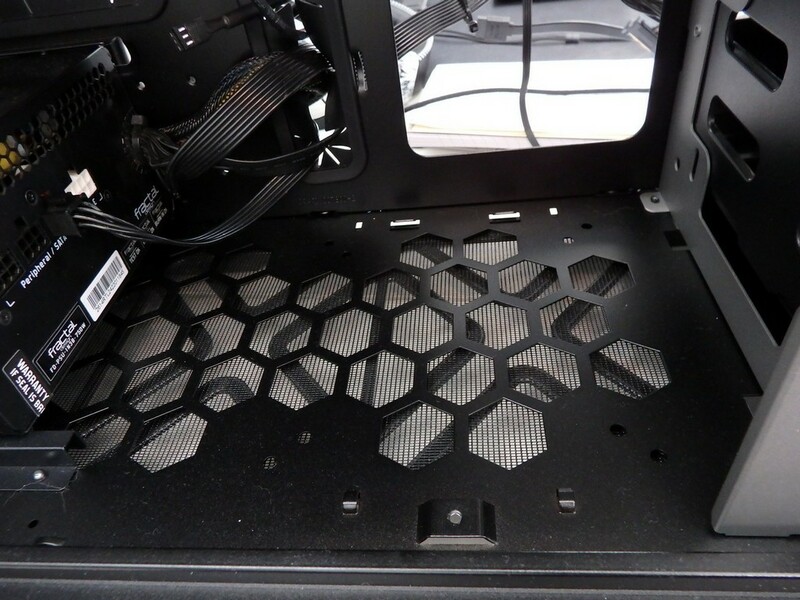 It wasn’t that we had issues fitting the right-side panel due to cable bulge but more a case of it would have been easier if there was more space. 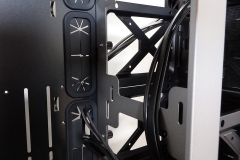 There are plenty of anchor points to keep the cables neat and if you use extension power cables as we did on our practical build, clever routing is essential anyway. 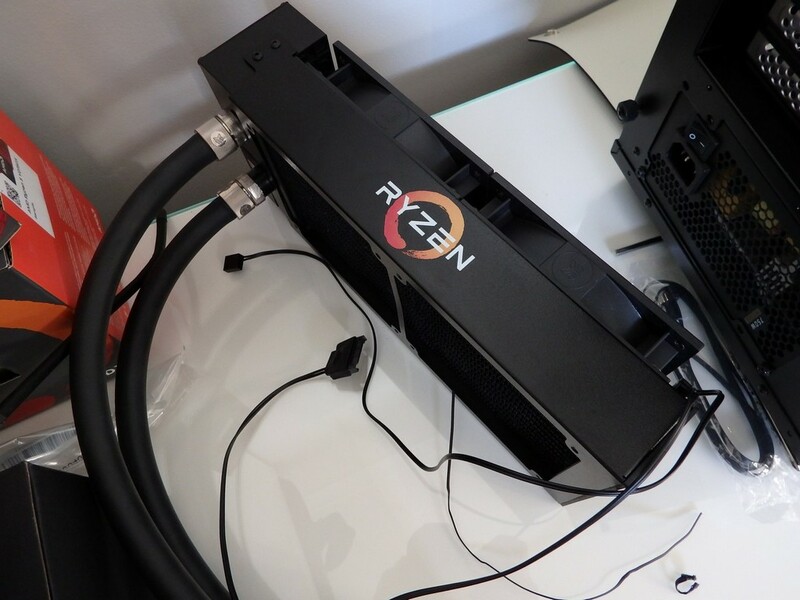 In the afterglow of AMD’s new Ryzen launch we will be spending a bit of time with the platform and case, swapping memory and CPUs for benchmarking and testing. 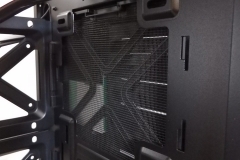 This case will get a workout and we are glad to have it housing our newest testing platform.